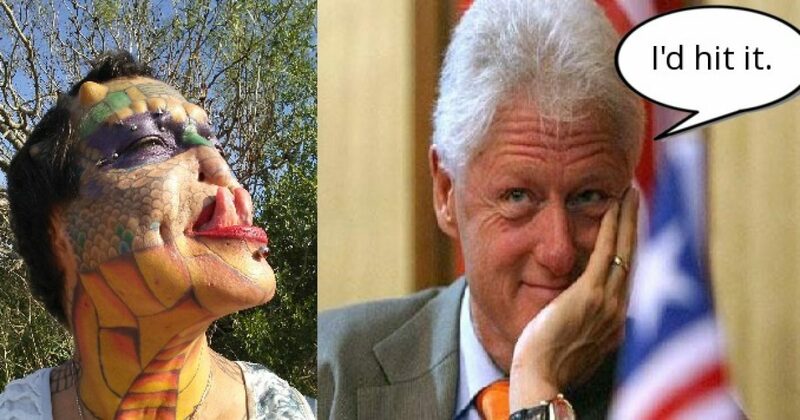 The Dragon lady is a former banker, 55, has her ears and nose removed to transform into the dragon lady’ with scales, a forked tongue and a horned skull. Eva Tiamat Medusa, 55, from Maricopa County, Arizona, was born a man. Now lives as a woman and has undergone extensive surgery. Her mythical beast transformation includes a full-face tattoo and horns. She has new mods, piercings, and plans on getting more extreme body modifications in the future. So say its strange but the dragon lady has something to say about that.